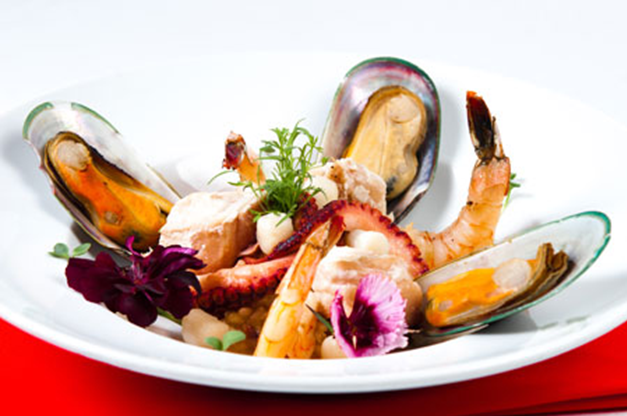 Puerto Vallarta’s gastronomic festival, now called the Puerto Vallarta– Riviera Nayarit International Gourmet Festival, began in 1995 with the objective of showcasing Mexican talent as well as creating more demand for, and interest in the culinary arts. The goal was reached and expectations surpassed, and since that time chefs of six independent restaurants and six hotel restaurants (rated a minimum of five stars) are invited to participate year after year. In addition to promoting gastronomy, they have succeeded in benefitting the local economy through the amount of tourists and worldwide experts who visit the area, among other aspects. Dish of the year: Arroz la Tumbada by Chef Jorge Sierra of Velas Vallarta. This year, the festival will be held from the 8th to 18th of November and will be attended by the most well-known chefs in the region. The chefs will offer wine, cheese and cocktail tastings along with other pleasant surprises and delicious gourmet dishes. Set to participate are Andrea restaurant of Velas Vallarta, which offers first-class service and a wide range of dishes on its themed menus (French, Asian, Italian and Mexican) and restaurant Frida of Grand Velas Riviera Nayarit, which specializes in exquisite cuisine from the entire republic of Mexico and has been awarded Four Diamonds by the AAA. 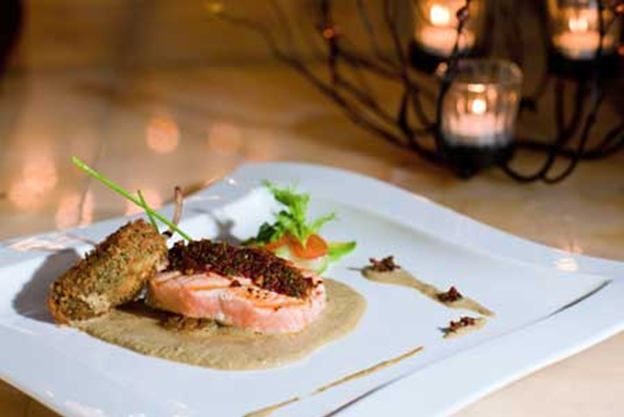 Dish of the year: Grilled salmon crusted in ancho chili with sauce of pumpkin seed and roasted tomato, by Chef José Manuel Gordián Martínez of Grand Velas Riviera Nayarit. Dare to enjoy a delicious experience in this award-winning setting, bringing the best of culinary culture to your palate.